with a platform of pro-growth economic policies and American exceptionalism. 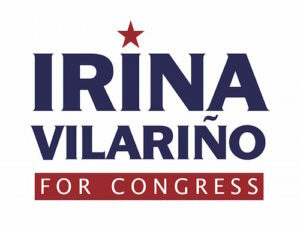 Irina Vilariño today announced her candidacy for the U.S. House of Representatives in Florida’s 26th District. Vilariño has built a successful career working to expand her family’s restaurant business, which includes multiple establishments that employ hundreds of working families. Vilariño arrived in Florida from Cuba with her family as part of the Mariel boat lift in 1980 when she was a small child. An early and staunch supporter of conservative ideals, she plans to run on a platform that includes pro-growth policies that help working families, lower taxes and fewer regulations, a strong national defense, and the protection of our quality of life. Of particular concern to her is the extreme leftward push of Democrats like Mucarsel-Powell and Nancy Pelosi. “I am running for Congress because I want to set the record straight that under socialism there is only an equal opportunity to achieve poverty, and I want to remind the liberal extremists that in freedom, every person has the opportunity to achieve the American Dream,” said Vilariño. Vilariño knows firsthand the pain of political persecution. Both her uncle and father were held as political prisoners in Castro’s gulags. She has pledged to be a champion for those living under oppressive regimes in Cuba, Nicaragua, and Venezuela and to advocate for the spread of representative democracy in our hemisphere. She will also be a strong advocate for the protection of our own constitutional rights, foremost being the right to life. Learn more about Irina and her views at www.irinavilarino.com.